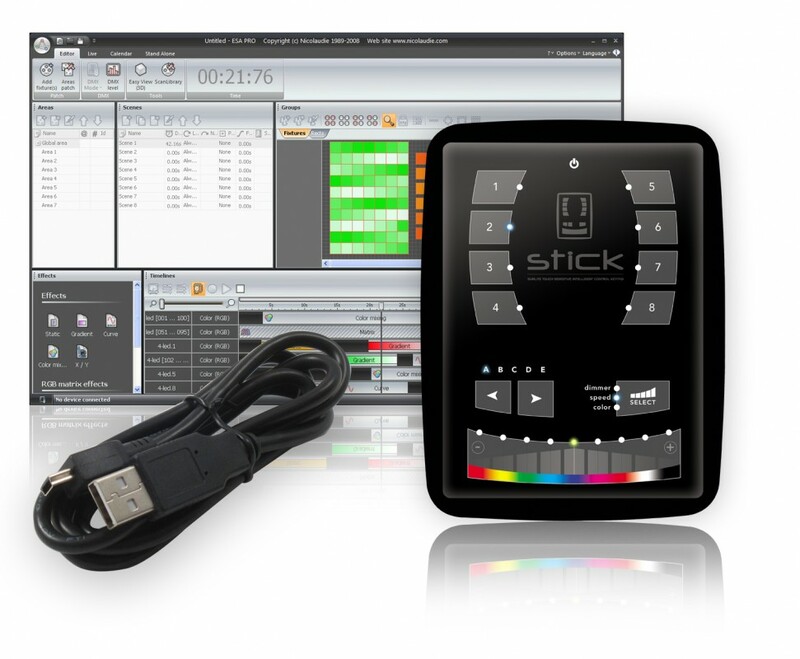 The architectural and building range includes both Easy Stand Alone and S.T.I.C.K. wall-plate based products. Every single interface is made for a specific installation. 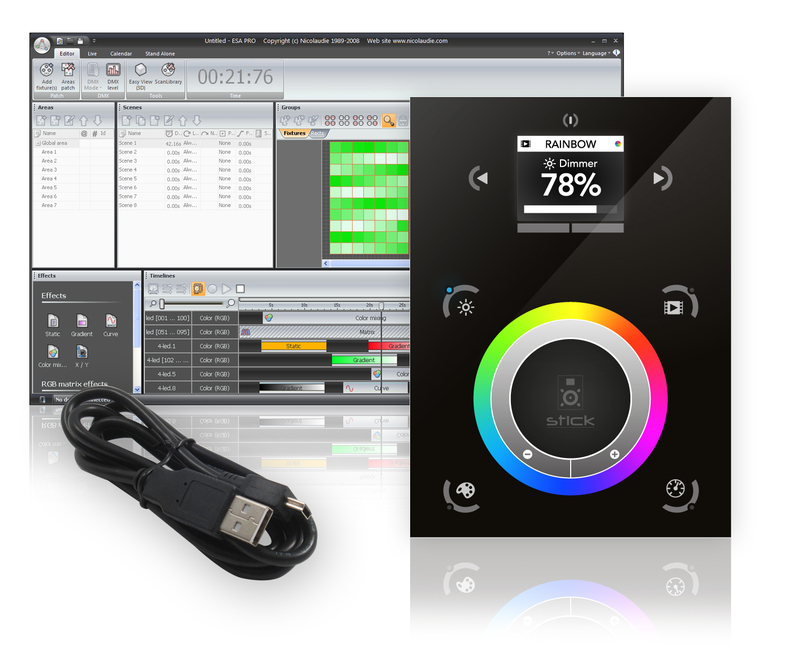 Once integrated with one of the compatible software packages, it is possible to easily control and programme the lighting within a variety of places such as homes, hotels, restaurants, fountains, gardens, commercial and many more. 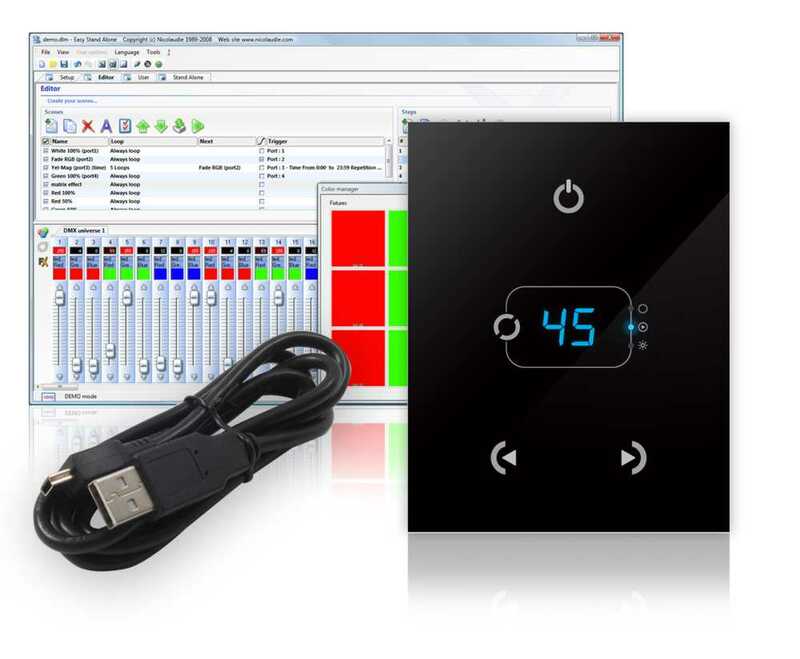 All DMX hardware in this range can be operated and controlled in live or stand alone mode. 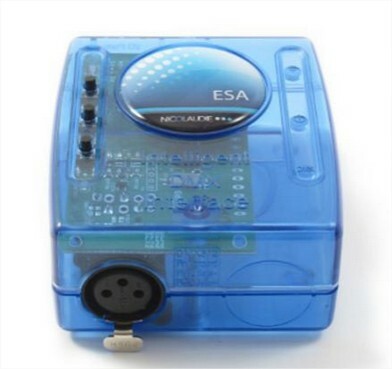 In stand alone mode, once programmed by a PC or Apple MAC the devices can operate independently and have their sequences or light shows triggered by time, event, on-board switches or touch pad interfaces ( without the computer actually being attached ) . MegaLED Ltd also offer DMX programming as a service which has proved to be a highly sought after service; where LED installers, architects, interior designers, signmakers and display lighting companies usually need to visualise how their LED lights will look, animate, operate prior to installation or commissioning. V. limited stock for projects requiring stand alone memory internet – updated. Stick DE3 wall plate controller 1024ch; programmable + stand alone, wifi options. 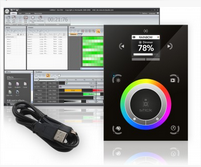 MegaLED offer two main types of Programmable DMX Controllers. 1. 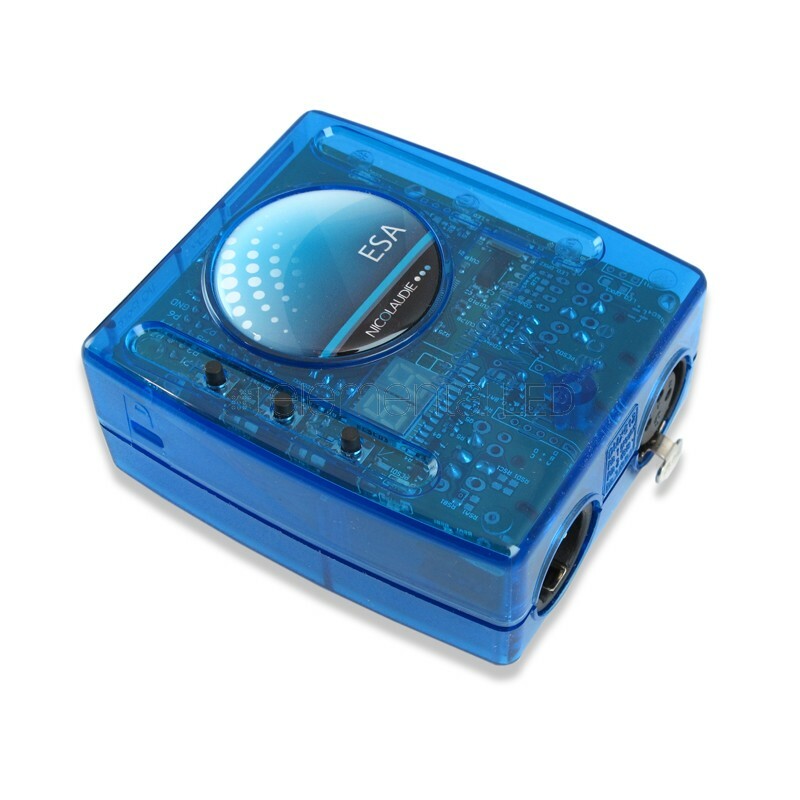 Programmable Stand Alone DMX Hardware Interfaces. Architectural, push buttons on device, auto programme triggering and various switched port triggering options. 2. Programmable Stand Alone DMX Wall Plate Interfaces, architectural, with push buttons on wall plate interface. Auto programme triggering, some with switched port triggering.